The automotive manufacturing landscape is changing. 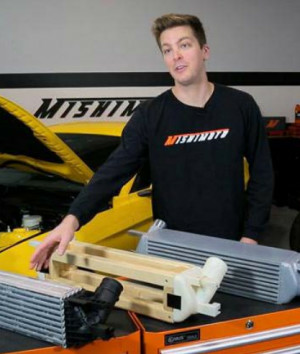 Manufacturers like Mishimoto Automotive can’t afford to wait two years to develop a product and bring it to market. With the advent of 3D printing and rapid prototyping, engineers can create cost-effective prototypes in a much shorter time. How Mishimoto Automotive overcame the challenges of establishing a faster process. How 3D printing works as a cost-effective option for parts prototyping. Why rapid prototyping is a time-saving advantage for engineers.